There’s plunder for all ages in this potpourri of fun, festive, family apps by three celebrated app developers: Time Traveler Tours, Actialuna and Mario Brodeur. All three apps are bilingual and are on sale NOW in honor of French Independence Day: Quatorze Juillet, La Fete Nationale, or as known in the Anglophone world, Bastille Day*. Honored by Teachers With Apps, just this month, as an App of Distinction, Beware Madame La Guillotine, A Revolutionary Tour of Paris, is the perfect travel companion to the City of Lights whether you’re journeying there in body, or in spirit. Time-travel to the heart of the French Revolution with convent schoolgirl turned murderess, Charlotte Corday, on this unforgettable historical treasure hunt through Paris, from the Palais Royal to the Conciergerie Prison, the antechamber to the guillotine. Find out why Charlotte stabbed revolutionary leader Jean-Paul Marat as he soaked in the bath. What happened to her? Her king? Her queen? Her country? Her Revolution? Dedicated to youth and the young at heart, this unique StoryApp iTinerary combines the traditional power of storytelling with the latest in digital technology to make history leap from the screen. It heralds a new generation of travel guide for the next generation of traveler. Ideal for the family and student travelers as well as educational travel groups. 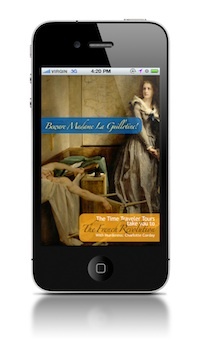 Beware Madame la Guillotine is now also available as an interactive Tablet iTale, from Time Traveler Tales. A revolution in poetry for the iPad is here! A Word's a Bird, Spring Flies By in Rhymes, is a brand new, beautifully animated, interactive bilingual poetry app that appeals to children and adults alike, whether French- or English-speaking. In fact, it’s a great language-learning tool, with interactive glossaries that include touch-activated sounds, making the rhymed metaphors accessible to even the youngest readers. This app is candy for both eyes and ears, boasting hundreds of hand-painted watercolors by Jeanne B. de Sainte Marie as well as four gorgeously-narrated spring-themed poems written, and translated, by award-winning children's author and poet, Orel Protopopescu. Former US Poet Laureate, Billy Collins, sums up this app perfectly: "A Word's a Bird slows down the frantic speed of most apps for children to fit the slower pace of Nature. The beauty of the illustrations, the meticulous work of the artists, and the interactive play combine to make a wondrous learning experience, a terrific way to expose children to poetry, art and Nature itself." De la part de vos cousins du Québec – from your cousins in Quebec – another new app to hit the App Store: Sneak a Snack / Combine et Tartine. This delightful and highly original interactive StoryApp concerns a schoolboy named Alex whose giant snack has gone missing. His three best friends – who also happen to be his pets -- are dripping with evidence. Who among them might have committed this yummy crime? 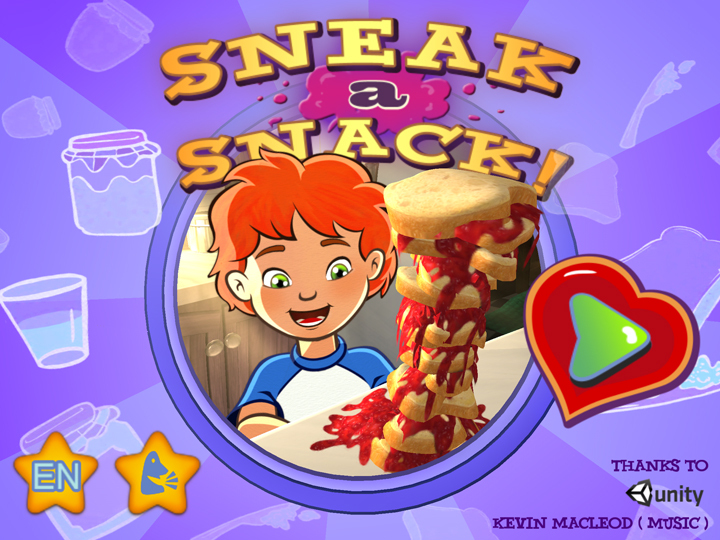 Sneak a Snack is more than a funny, 1st person adventure, it’s an immersive environment whose 3-D illustrations invite you to discover many interactive and silly objects that encourage kids to unlock the mystery within. Don’t be surprised if you hear them laughing and creating funny voices as they make their way through this enchanting app. *WARNING* this book app contains a high level of Fun-N-Magic which everybody knows is the best way to relieve everyday stress. Prescription: For children from 2 to 99. Consume without moderation! *In 1880, the date, July 14th, was declared France's official date of national celebration, La Fete Nationale. Mais Attention ! Though the celebration is held on the anniversary of the storming of the Bastille, the French never refer to their holiday as "Bastille Day". They prefer the moniker, Le Quatorze Juillet, the 14th of July, with its less violent connotation.